Development is underway to design the modern world’s first 100 per cent fossil fuel free sailing cargo ships. With rising fossil fuel prices and the global challenge of reducing greenhouse gas emissions, this project is set to change the shipping industry by providing efficient and affordable low-carbon shipping. The project combines proven technology, using the state of the art dyna-rig sail propulsion system with an off the shelf Rolls-Royce engine powered by waste derived liquid biomethane (liquid gas). The ships are being developed by B9 Shipping, part of the B9 Energy group of companies, which has started work on a full-scale demonstration vessel validating the engineering and economic assumptions of the initial vessel design. 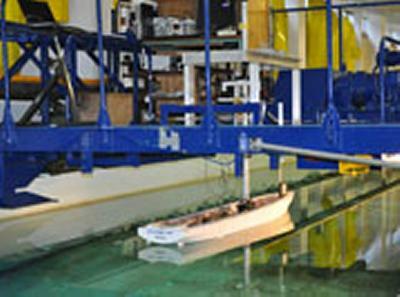 The fundamental testing programme is being conducted at the University of Southampton’s Wolfson Unit for Marine Technology and Industrial Aerodynamics (WUMTIA), which has provided innovative marine technology and industrial aerodynamics expertise for over 40 years to a world-wide customer base. The testing programme, which begins in June, will undertake tow tank and wind tunnel research to identify a basic hull design and how it interacts with the dyna-rig system. It will examine various options in the performance parameters of a B9 Ship in scale model, calibrating the thrust from the sailing rig with various hull shapes to secure optimum performance efficiencies in a wide range of meteorological and sea conditions, whilst delivering against the essential commercial (loading and discharge; port constraints) aspects. Engineering data will be used to assess and model more accurately various economic performance scenarios: for example varying the proportion of propulsion delivered by the wind/dyna-rig relative to that provided from liquid biomethane derived from waste by B9 Shipping’s sister company, B9 Organic Energy. This economic analysis will be undertaken later in the summer once towing tank and wind tunnel testing is complete and all data has been validated. Watch a video about the ship development here.